While the Trump administration and Theresa May argue over trade policies, they do agree on an approach to fighting poverty. Over the decades, Great Britain has approached the needs of those at the bottom of the economic ladder with a consistent vision that mirrors that of President Trump and other US conservative policymakers. In the UK, government funding has been reduced in order to spur self-support, encourage work, and decrease reliance on outside assistance. As public and nonprofit leaders in the US keep up their often-heated debate about what our policy should be, the case study of the UK’s experience should prove instructive. After years of reduced public funding, and with increased reliance on the nonprofit sector to patch a frayed safety net, what are the results? According to Philip Alston, the United Nation’s Special Rapporteur on extreme poverty and human rights, for Britain’s poor, things are bad and heading in the wrong direction. Following a 12-day visit, Alston concluded that poverty has gotten worse and current policy is failing. 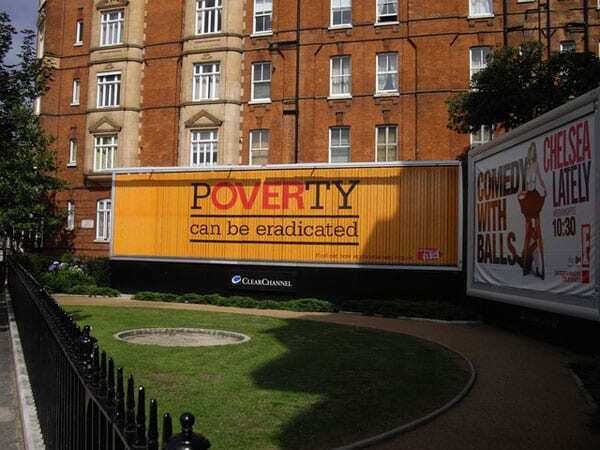 In the United Kingdom, 14 million people, a fifth of the population, live in poverty. Four million of these are more than 50 percent below the poverty line, and 1.5 million are destitute, unable to afford essentials. After years of progress, poverty is rising again…in the fifth-richest country in the world, this is not just a disgrace, but a social calamity. Government policies have inflicted great misery unnecessarily, especially on the working poor, on single mothers struggling against mighty odds, on people with disabilities who are already marginalized, and on millions of children who are locked into a cycle of poverty from which many will have great difficulty escaping. One focus of Britain’s efforts that is being replicated by conservatives in the US is an increased use of technology to streamline systems and cut overhead costs. Eligibility for government supports depends on the ability to continuously document eligibility requirements using online systems. Alston found this approach creates “an online barrier between people with poor digital literacy and their legal entitlements…the ‘test and learn’ approach to the rollout treats claimants like guinea pigs and can wreak havoc in real peoples’ lives.” This mirrors what the Washington Post found when it looked at Medicaid reforms in Arkansas, which similarly demanded ongoing electronic certification and put people’s health at risk.